Some people just want to be held, which is totally understandable. It’s comforting, it’s cozy and it makes us feel safe. Apparently, the same goes for wild animals. 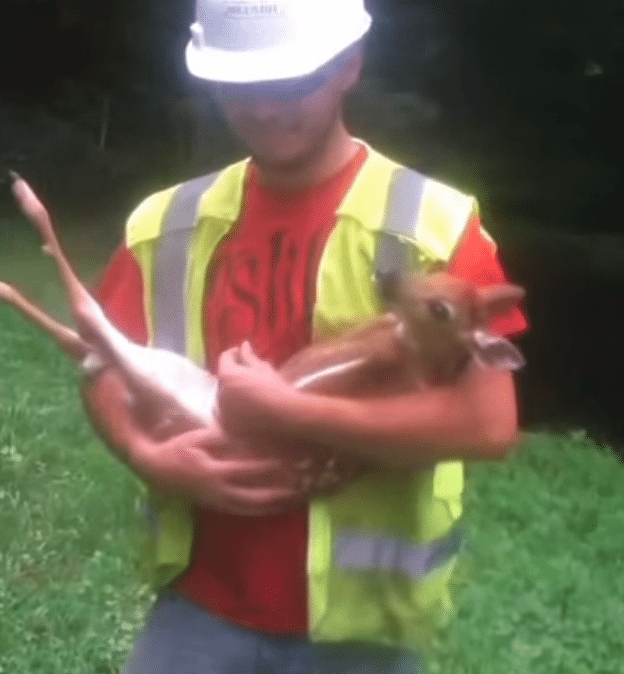 While many of us would assume that wild animals would flee at the sight of humans that wasn’t the case for a tiny little deer who just wanted to be held by some linemen who found him. A group of linemen who were working on some electrical lines found the deer and saved him from getting hurt when they were clearing some lines. The poor little deer was scared and nervous and so they decided to try and comfort it. “So we started rubbing his belly to calm him down…. which worked a little too well, as you can see,” Lewis explained. Instead of running off the baby deer stuck like glue to the linemen and protested every time the linemen tried to put him down. 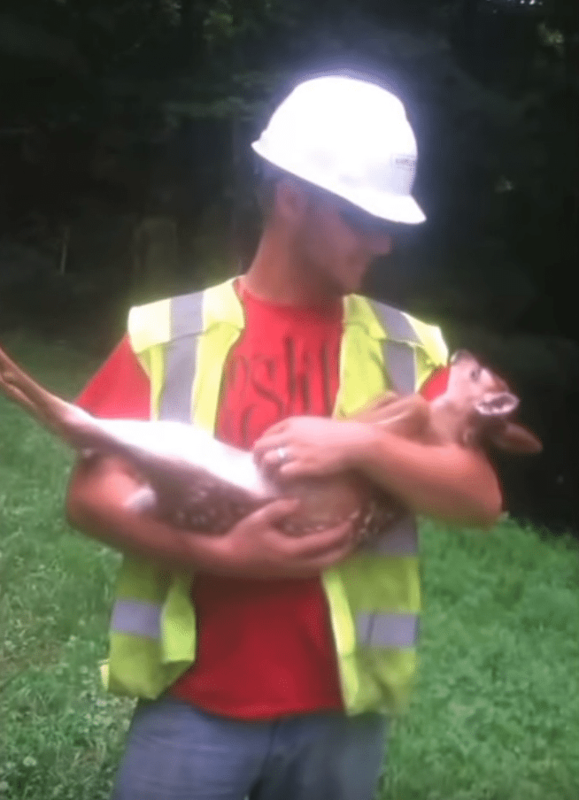 “Found this baby deer and we’re moving it out of the way so it doesn’t get smashed by a tree and we started rubbing its belly and now when we go put it down it freaks out until we start rubbings its belly again,” someone off camera says in the video. 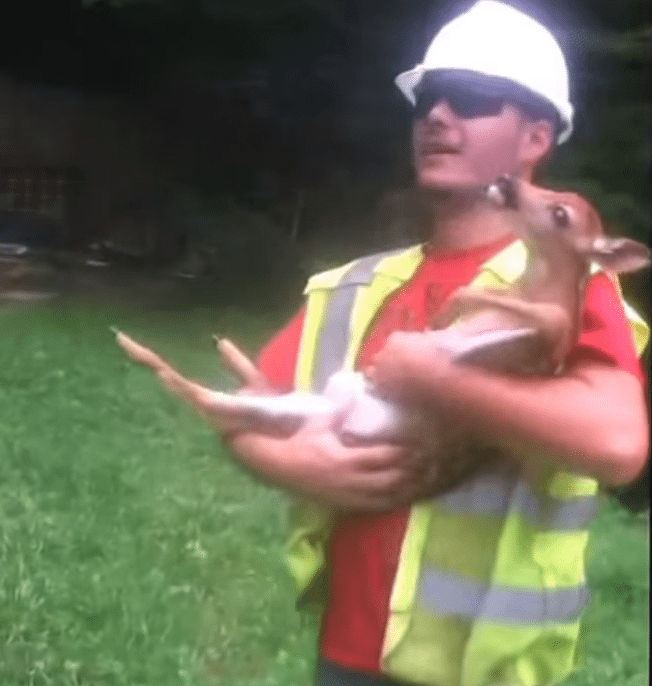 A lineman in the video then demonstrates holding the baby deer in his arms and letting the deer cry out hysterically when he tries to put him down. “He’s spoiled we have spoiled a baby deer,” says someone in the video. The look on this baby deer’s face is just so adorable. He looks so happy, content, and cozy. Thankfully, the deer’s mom wasn’t too far behind and they were later reunited. 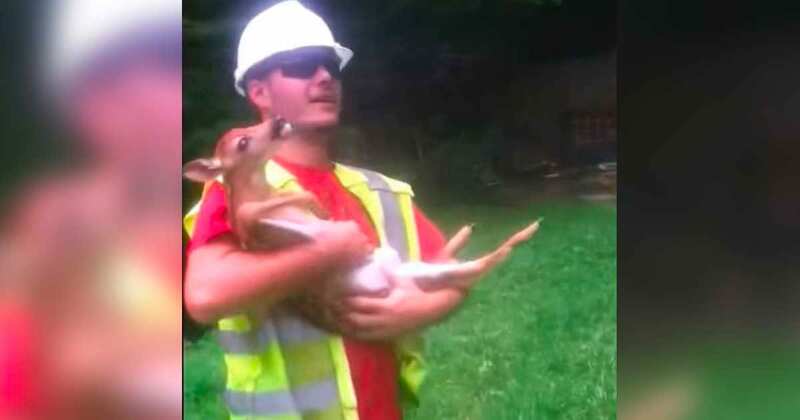 It’s still weird to us that this little baby deer took such a liking to a bunch of linemen but we’re glad this story has a happy ending. You can watch this “spoiled” little deer in the video below. Inno Asuncion is the Editor-in-Chief at Shareably. Inno is based in San Francisco and can be reached at inno@shareably.net.